At Quest Diagnostics, we recognize the importance of good corporate governance and value the leadership and input of the independent members of our Board of Directors. Effective in 2017, Stephen H. Rusckowski, our President and Chief Executive Officer, serves as Chairman of the Board of Directors, and Dr. Daniel C. Stanzione, Ph.D. serves as Lead Independent Director. The Board of Directors currently believes that having our President and CEO serve as Chairman as well as having a Lead Independent Director helps the administration and organization of the Board and facilitates the effective conduct of its duties, including the activities of the independent directors. The Board has revised its leadership structure from time to time and retains the flexibility to revise its leadership structure if, in the exercise of its fiduciary duty, the Board believes that such revision is appropriate. monitor, and if appropriate discuss with the other non-management directors, communications received from shareholders and others. Our Corporate Governance Guidelines provide that at least a majority of our directors shall be independent. At this time all directors except for one are independent and all the members of the Audit and Finance, Compensation, Governance and Quality, Safety and Compliance Committees also are independent. The Board and each of its committees have complete access to management and the authority to retain independent advisors, as they deem appropriate. We have published procedures for interested parties, including shareholders, to communicate with our directors. The Compensation Committee has retained the services of, and regularly consults with, an independent compensation consultant. For information regarding contacting our Lead Independent Director, or any other director, click here. Dr. Stanzione retired from Lucent Technologies Incorporated in 2000 and is President Emeritus of Bell Laboratories and an independent consultant. Dr. Stanzione began his career in 1972 with Bell Laboratories, where he led the teams working on the first microprocessors and digital signal processors. He was appointed President of Network Systems, Lucent’s largest business unit, in 1996 and was appointed Chief Operating Officer of Lucent in 1997. Dr. Stanzione is a director of InterNAP Corporation, where he serves as non-executive chairman. 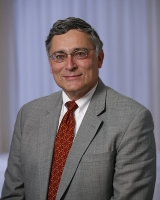 Dr. Stanzione served as a director of Avaya Inc. from 2000 until 2007. He has been a director of Quest Diagnostics since January 1997 and served as Non-Executive Chairman of the Board from May, 2012 to December, 2016. Dr. Stanzione has extensive executive experience, including general management and strategic planning with multinational corporations operating in complex industries. Dr. Britell is the non-executive chair of United Rentals, Inc. and a director of Crown Holdings, Inc. Dr. Britell is a member of the Council on Foreign Relations, and a director of the U.S. Russia Foundation for Entrepreneurship and the Rule of Law. 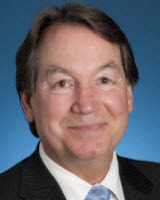 From 2010 to 2015, Dr. Britell was Senior Managing Director at Brock Capital Group, advising companies and investors regarding strategy, acquisitions and asset deployment, including in connection with financial services. From 2001 to 2009, she was the Chairman and Chief Executive Officer of Structured Ventures, Inc., which advised domestic and foreign companies on financial services products and strategy. From 1996 to 2000, she was a senior officer of GE Capital, serving as President of GE Capital Global Commercial & Mortgage Banking and Executive Vice President of GE Capital Global Consumer Finance from 1999 to 2000 and serving as President and Chief Executive Officer of GE Capital Central and Eastern Europe from 1998 to mid-1999. Dr. Britell served as a director of West Pharmaceuticals Corporation from 2005 until 2008. She has been a director of Quest Diagnostics since August 2005. She has extensive executive and advisory experience, including in corporate governance, corporate finance, capital markets, international business and strategic planning, with multinational corporations operating in complex, regulated industries. 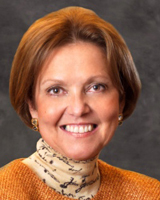 Ms. Gregg retired as Chief Executive Officer of Blue Cross Blue Shield of Tennessee in 2012. Prior to becoming CEO in 2003, Ms. Gregg served in a number of other leadership roles, including President and Chief Operating Officer. Before that, she held a series of senior roles at Humana Health Plans. Ms. Gregg served as a member of the U.S. National Institutes of Health Commission on Systemic Interoperability. She currently serves on the Boards of TeamHealth Holdings, Inc. and the Electric Power Board of Chattanooga. Previously, Ms. Gregg served on several national boards, including First Horizon National Corporation, America’s Health Insurance Plans (Chair 2010-2011), the BlueCross BlueShield Association, the National Institute for Healthcare Management (Chair 2012), and the Healthcare Leadership Council. She has been a director of Quest Diagnostics since July 2014. She has extensive executive and advisory experience, including in general management and strategic planning, with a range of health care organizations, and extensive experience with healthcare issues and the operation of the U.S. healthcare system, including as a practicing nurse. 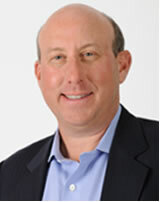 Jeffrey M. Leiden, M.D., Ph.D.
Dr. Leiden is Chairman, President and CEO of Vertex Pharmaceuticals since 2011. 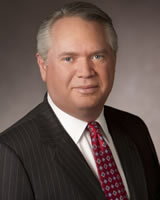 He has served as a member of Vertex's board of directors since 2009. Prior to joining Vertex in 2011, Dr. Leiden was a Managing Director at Clarus Ventures, a life sciences venture capital firm he joined in 2006. 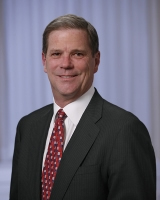 From 2000 to 2006, he served as President and Chief Operating Officer and Chief Scientific Officer at Abbott Laboratories where he had responsibility for managing all aspects of Abbott’s global pharmaceutical business. Previously, Dr. Leiden held several academic and hospital appointments, including as Chief of Cardiology at the University of Chicago, the Elkan R. Blout Professor of Biological Sciences at the Harvard School of Public Health and Professor of Medicine at Harvard Medical School. He has extensive consulting experience in the pharmaceutical and medical device areas. Dr. Leiden served as a director of Abbott Laboratories from 2001 to 2006, Shire Pharmaceuticals plc from 2007 to 2011and Millennium Pharmaceuticals, Inc. from 2008 to 2009. He is a fellow of the American Academy of Arts and Sciences, and an elected member of the Institute of Medicine of the National Academy of Sciences. He has been a director of Quest Diagnostics since December 2014. He has extensive executive and advisory experience, including in general management and strategic planning, with a range of health care organizations, and extensive experience with healthcare issues and the operation of the U.S. healthcare system, including as a practicing physician. Mr. Main is Chairman of the Board of Directors of Jabil Circuit, Inc., an electronic product solutions company providing comprehensive electronics design, manufacturing and management services to global electronics and technology companies. Mr. Main was Chief Executive Officer of Jabil from 2000 until 2013. As CEO, Mr. Main led Jabil’s growth strategy, increasing annual revenues nearly fivefold to reach $17 billion in 2012, and expanding in Asia and other emerging markets. He has been a director of Quest Diagnostics since January 2014. He has extensive executive experience, including in international, operations, corporate governance and general management in a complex industry. 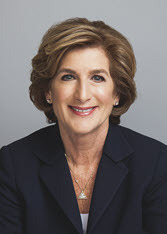 Ms. Morrison retired after serving as President and Chief Executive Officer of Campbell Soup Company from 2011 to 2018. She joined Campbell in 2003, where she held positions of increasing responsibility. Prior to joining Campbell, Ms. Morrison held executive management positions at Kraft Foods, Inc. from 2001 to 2003. She is a director of Visa, Inc. and MetLife, Inc., and served as a director of Campbell Soup Company from 2010 to 2018 and a director of The Goodyear Tire & Rubber Company from 2005 to 2010. 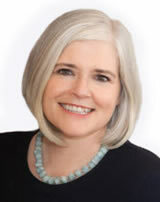 Ms. Morrison is a member of the Board of Trustees for Boston College. She served on President Trump’s Manufacturing Jobs Initiative as well as President Obama’s Export Council. Ms. Morrison has been a director of Quest Diagnostics since February 2019. She has extensive executive experience, including in general management and strategic planning, operations and marketing, with multinational corporations operating in consumer-focused, regulated industries. Mr. Pfeiffer retired in 2006 as the Senior Vice President and Chief Financial Officer of E.I. du Pont de Nemours and Company. He joined DuPont in 1974, where he held positions of increasing responsibility in finance and international operations, as well as in various DuPont divisions. Mr. Pfeiffer served as Secretary of Finance for the state of Delaware from January through June 2009. Mr. Pfeiffer is a director of InterNAP Corporation and Solazyme, Inc., and served as a director of Talbots, Inc. from 2005 to 2012. He is the non-executive Chair of the Board of Directors Christiana Care Health System, a regional hospital system located in Delaware. 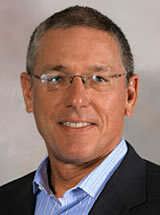 Mr. Pfeiffer has been a director of Quest Diagnostics since December 2004. He has extensive executive experience, including in corporate finance, accounting, international operations, and strategic planning, with a multinational corporation operating in complex industries. Mr. Ring retired in 2017 as Chairman and Chief Executive Officer of C. R. Bard, Inc., positions in which he had served since 2003. He is a director of Becton, Dickinson and Company, and was a director of C. R. Bard, Inc. from 2003 to 2017 and CIT Group Inc. from 2005 to 2009. Mr. Ring is a Trustee of the New Jersey Health Foundation. He has been a director of Quest Diagnostics since December 2011. Mr. Ring has extensive executive experience, including in strategic planning and international operations, with multinational corporations operating in the healthcare industry. 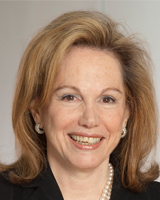 Helen I. Torley, M.B. Ch. B., M.R.C.P. Dr. Torley has, since 2014, been President and Chief Executive Officer of Halozyme Therapeutics, Inc., a biotechnology company focused on developing and commercializing novel cancer therapies that target the tumor microenvironment. 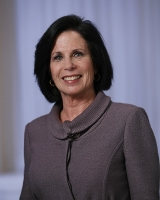 Prior to joining Halozyme, Dr. Torley served as Executive Vice President and Chief Commercial Officer for Onyx Pharmaceuticals from August 2011 to December 2013, where she was responsible for the development of Onyx’s commercial capabilities in the United States, Europe and Asia Pacific regions. Prior to Onyx, Dr. Torley spent 10 years in management positions at Amgen Inc., most recently serving as Vice President and General Manager of the US Nephrology business unit from 2003 to 2009 and the U.S. Bone Health business unit from 2009 to 2011. Prior to 2003, she held various senior management positions at Bristol-Myers Squibb and Sandoz/Novartis, and was in medical practice as a senior registrar in rheumatology at the Royal Infirmary in Glasgow, Scotland. Dr. Torley is a director of Halozyme Therapeutics, Inc., and she served as a director of Relypsa, Inc. from 2015 to 2016. Before joining the industry, Dr. Torley was in medical practice. She has been a director of Quest Diagnostics since May, 2018. Dr. Torley has extensive executive experience, including in general management, strategic planning and commercial operations, with multinational corporations operating in the healthcare industry. Dr. Wilensky is a Senior Fellow at Project HOPE, an international non-profit health foundation, which she joined in 1993. From 2008 through 2009, Dr. Wilensky served as President of the Defense Health Board, an advisory board in the Department of Defense. From 1997 to 2001, she was the chair of the Medicare Payment Advisory Commission. From 1995 to 1997, she chaired the Physician Payment Review Commission. In 1992 and 1993, Dr. Wilensky served as a deputy assistant to the President of the United States for policy development relating to health and welfare issues. From 1990 to 1992, she was the administrator of the Health Care Financing Administration where she directed the Medicare and Medicaid programs. Dr. Wilensky is a director of UnitedHealthcare Corporation. She served as a director of Manor Care Inc. from 1998 until 2009, Gentiva Health Services, Inc. from 2000 until 2009, Cephalon Inc. from 2002 to 2011 and SRA International, Inc. from 2005 to 2011. Dr. Wilensky also served as a Commissioner of the World Health Organization’s Commission on the Social Determinants of Health and as the Non-Department Co-Chair of the Defense Department’s Task Force on the Future of Military Health Care. She has been a director of Quest Diagnostics since January 1997. Dr. Wilensky has extensive experience, including in strategic planning, as a senior advisor to the U.S. government and private enterprises regarding healthcare issues and the operation of the U.S. healthcare system.